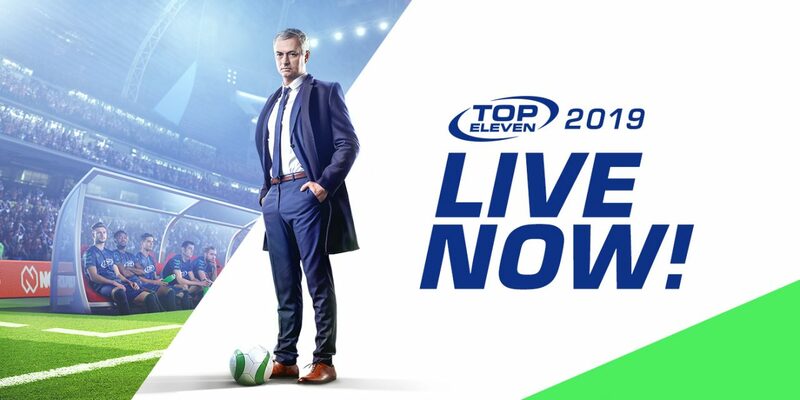 Top Eleven 2019 has arrived! This latest update is made up entirely of suggestions from our global community of Managers! Thanks for the feedback, and please do keep it coming! Read on for more details about what’s included in Top Eleven 2019! Save Formations: Now you can save up to 4 formations in the Squad screen! Saves will include both your formation and tactics that you’ve set. Leaderboards For All Competitions: See how your players stack up against others in the Cup, Champions League and Super League with Top Player leaderboards! Just like those in the League, now you’ll be able to see how your players stand in Top Scorer, Top Assists and Top Rated categories. Profile Frames: There’s nothing like winning a trophy, and now you’ll show off your achievements from the previous season with new profile frames. Winning trophies will add a badge to your profile picture for one season to let your opponents know who they’re up against on the touchline. Arrows: They’re back! You can once again set your players to get forward or play deeper with the return of Arrows. To set Arrows, select the Player Mentality button in the Squad screen. Club History Tab: The stats of Managers in Top Eleven are amazing, and we’ve received lots of feedback about wanting to make these incredible figures visible for other Managers. Now when you open an Opponent popup, you will see a new Club History tab, where their trophies won and stats will be visible. Training Level animation is now skippable. After you complete a level on the training ground, you can tap to move through the level-up animation. The default view of players on the Squad screen has switched to Roles from Condition/Morale. Thanks as ever for the amazing support! We’re looking forward to another big and exciting year for Top Eleven in 2019! previousConquer Together Challenge - LIVE NOW!